In these terms and conditions, the “Yan Society” will mean by Yan Society’s company, Yan Wellness Sdn Bhd and the “Customer” will mean any person, firm, company or body which places an order with Yan Society. Please read these terms and conditions carefully before using the site. By using the site or any part of it, you agree that you have read these terms and conditions and that you accept and agree to be bound by them. You agree that the Yan Society reserves the right to amend these terms and conditions at any time, in the Yan Society&apos;s sole discretion, by posting any such amendment(s) to the Yan Society’s website without prior and separate notice. Your continued use of the site or any part of it after the amendment to these terms and conditions is posted will be deemed as full knowledge and acceptance of the revised terms and conditions. If you do not agree to any such amendment(s), your sole recourse shall be to cease using the site. Yan Society shall make every effort to ensure that prices, details and sizes of products on this website are up to date. Prices are subject to change without prior notice and all orders are subject to Yan Society’s acceptance at its sole discretion and stock availability. Yan Society shall make every effort to ensure products displayed on the website are in stock. If from time to time products become out of stock, Yan Society reserves the right to offer alternative product(s) to the Customer of similar value and range. Prices charged for purchases on this website may be different from the prices charged in our consignee(s)’ store/platforms. The prices charged are applicable to the date that you confirmed or placed your order. All orders are subject to confirmation of final availability and Yan Society reserves the right to reject the order in the event that any of the products or services requested is unavailable. In the event that we are unable to fulfil any of the products or services in your order, we will notify you by phone or email. All pictures and images of the products displayed on this site are for illustration purposes in order to help the customer to recognize the products only. The actual size, dimension and colour of the products may differ. To register with Yan Society Online Store, you must be over eighteen (18) years of age. You authorize us to assume that any person using the site with your username and password is either you or is authorized to act for you. Yan Society has the absolute discretion to refuse registration of a potential customer and to terminate the registration of any customer for any reason whatsoever. Customer must inform Yan Society Online Store Assistant at store@yansociety.com or self-update inhttp://store.yansociety.com profile, immediately of any changes to the information that you provided so that we can communicate with you effectively. Customers shall be liable for every order made under your login and agree to indemnify Yan Society for all claims, damages whatsoever made by third parties arising from the actions of a person placing orders through this website using your login. Should you find any unauthorized use of your login, you shall notify Yan Society immediately and effectively. Once you have selected a product that you wish to order via http://store.yansociety.com, you will then be shown (on the online store) the charges you must pay including taxes, if applicable, and any applicable delivery charges. Customers shall pay for the order in full at the time of order by providing us with your credit card or debit account details from a company acceptable to us, which we require in order to process your order. The credit card or debit account must have sufficient funds to cover the proposed payment to us. We shall not be obliged to supply the products to you until we have accepted your order. An order shall be formed and we shall be legally bound to supply the products to you when we accept your order. Acceptance shall take place when we expressly accept your order by email to you, in the form of a document called “Order Confirmation” stating that we are accepting your order. Until the time when we accept and confirm your order, we reserve the right to refuse the process of your order and you reserve the right to cancel your order. We accept payment by Visa, MasterCard and Online Transfer. Yan Society shall not be liable for any credit card or debit card fraud. Please note that we do not receive cash on delivery. All product prices listed are in Ringgit Malaysia (RM). To provide secure online commerce transactions we employ Internet’s Secure Sockets Layer (SSL) technology. It encrypts your personal information, including credit card number, name and address, so that it would not be read as the information travels over the Internet. Full payment in respect of an order must be made upon the placing of the order. If your payment cannot be processed, the order will be not be accepted and you are advised to contact your card or bank account issuer to resolve any problem concerning the use of your credit card in order to continue with the order. Yan Society reserves the right to change the payment terms of any order without prior notice. If payment for any order has already been made but the order is not accepted by us, you will be entitled to a refund, depending on the period of time your financial institution needs to arrange the refund. We shall not be liable with respect to any loss, damage, cost or expense that you or any person may incur as a result of any delay in your financial institution processing the said refund. Please see Delivery and Returns Policy. Yan Society or it’s company Yan Wellness Sdn Bhd may cancel an order if the product is not available for any reason. In this case, we will notify you and return payment that you have made. The refund will be credited to the Customer’s credit card or debit account depending on the period of time your financial institution required to arrange for the refund. 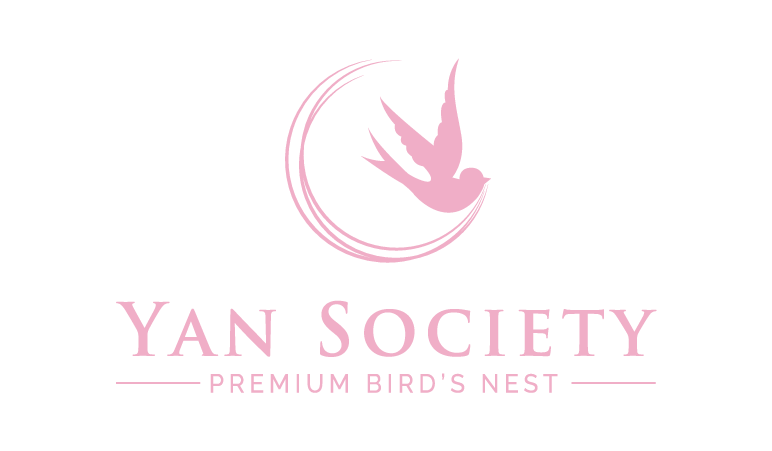 Copyright © 2019 Yan Society Premium Bird's Nest.